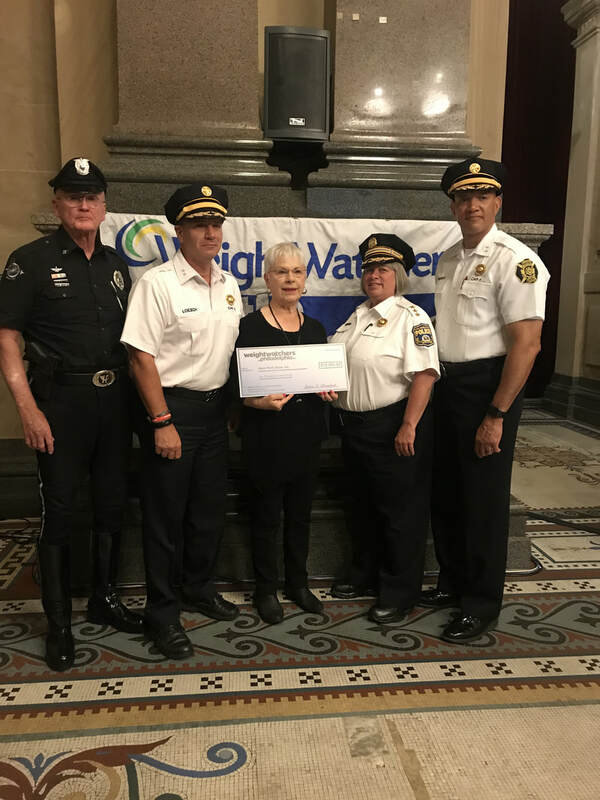 THE MISSION OF THE HERO THRILL SHOW IS TO PAY FOR THE COLLEGE TUITION OF CHILDREN OF PHILADELPHIA POLICE OFFICERS AND/OR FIREFIGHTERS KILLED IN THE LINE OF DUTY. The Hero Thrill Show® Inc. is the only organization that pays for the college tuition of the children of Police Officers and/or Firefighters who have been killed in the line of duty. The Hero Thrill Show® is NOT affiliated with the Hero Scholarship Fund. for the 64th annual Hero Thrill Show®. 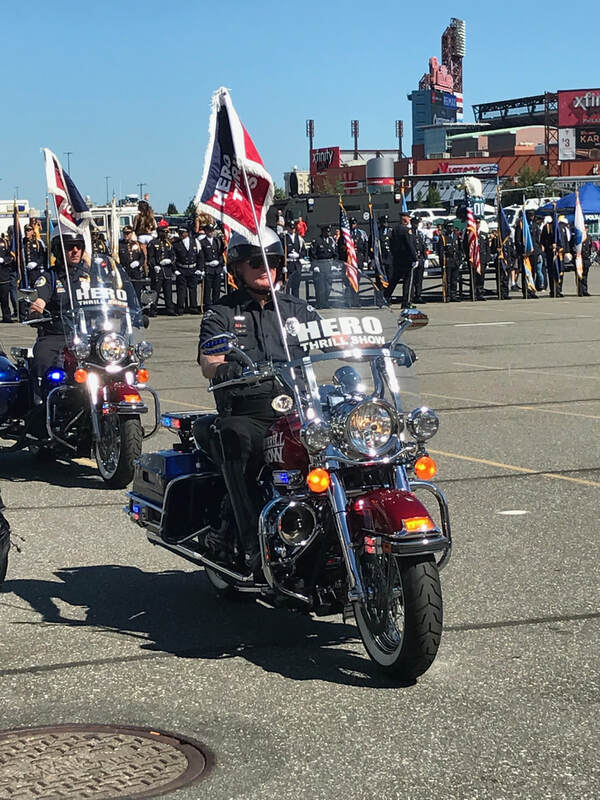 Entering the performance area of the Hero Thrill Show® on September 23, 2017 at the Wells Fargo Center. We were blessed with rain free weather and an overwhelming crowd who came out to support the families of Philadelphia Police Officers and Firefighters who lost their lives in the line of duty. At the 2017 Hero Thrill Show® Pep Rally on Market Street. 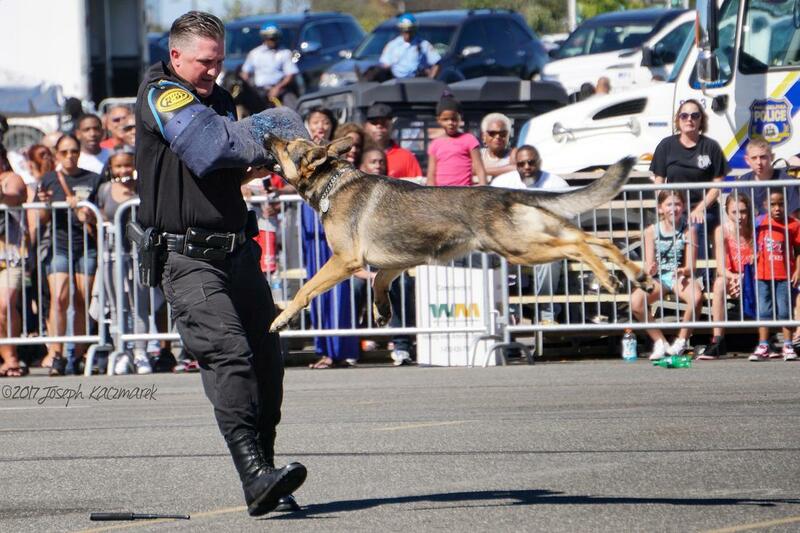 You can run but you can’t hide from a K 9 Officer and partner. With Mr. & Mrs. Saturday Night, Bob & Debbie Pantano and their “friends”. 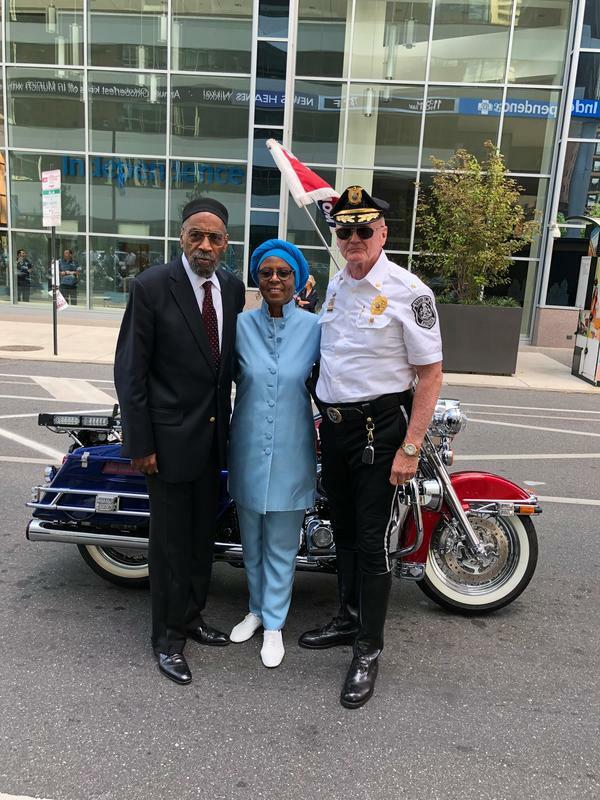 On September 23, 2017, with Patsy McDonald, celebrating and honoring the life, memory, service and heroism of her son, Highway Patrol Officer Sgt. Patrick McDonald, Badge #398, who was killed in the line of duty on September 23, 2008. The Hero Thrill Show® made its debut in 1954. 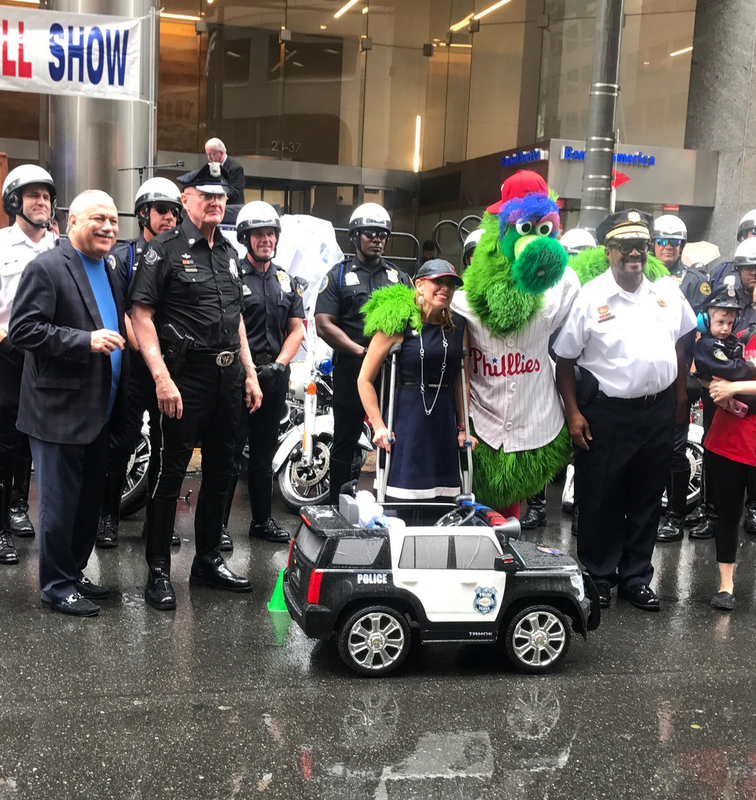 The mission of the Hero Thrill Show® is to raise money to pay for the college tuition of children of Philadelphia Police Officers and/or Firefighters killed in the line of duty. 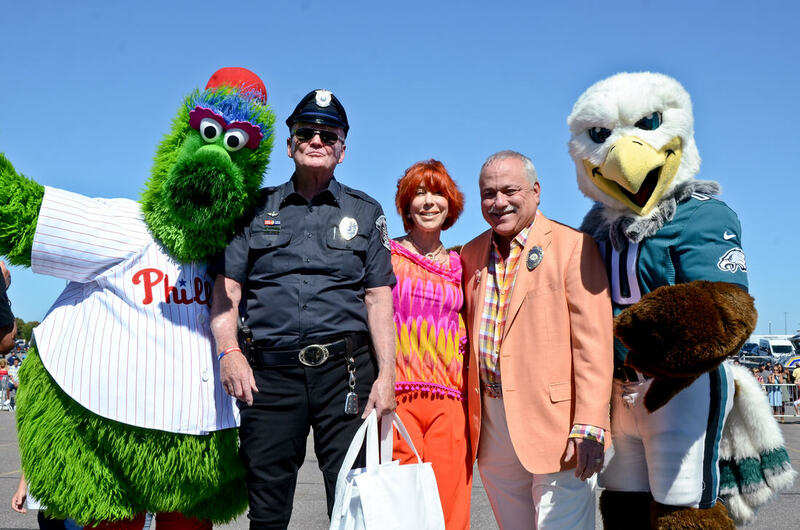 Until 1990 the Hero Thrill Show® was produced by the City of Philadelphia. 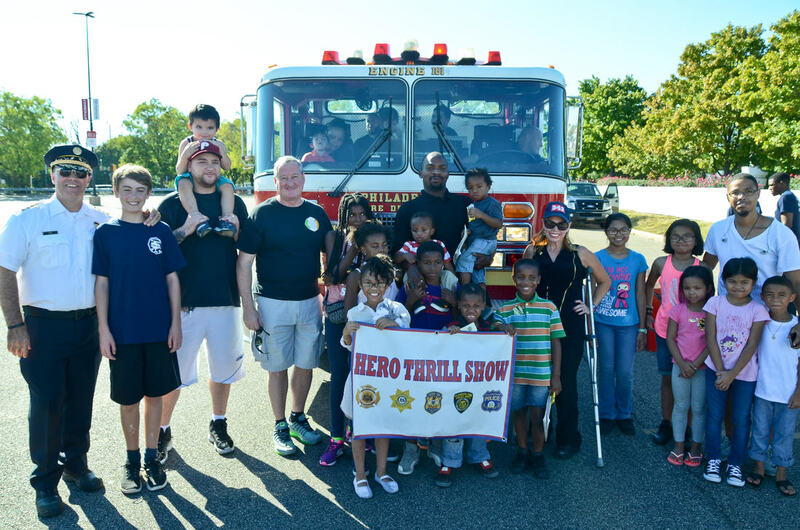 From 1990 until 2005 the Hero Thrill Show® was produced by the Hero Scholarship Fund. 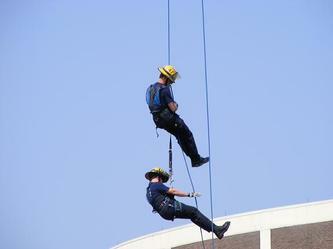 After the 2005 Hero Thrill Show® the Hero Scholarship Fund discontinued the show. "After carefully comparing revenues over the past several years, including decreases as well as the expense and difficulty in putting on the show, it has been decided to discontinue the show..."
"The reason for our discontinuance of the show is that it was originally established in 1954 as a city function and operation. Since 1994 we have been forced to operate the show simply because there was no city backing. Hence, we have been operating as a "one man Director of Operations". Further, we cannot continue to lay out the money necessary to fund the show each year by becoming the producers as well." *** you may view these letters by clicking on the files below. 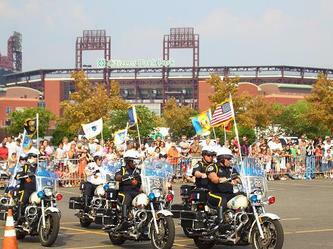 Upon receipt of the above quoted letters, the Police and Fire Commissioners of Philadelphia approached James J. Binns, Esquire, a Philadelphia Lawyer, who, at their request, founded the Hero Thrill Show®, Inc., a 501 (c) (3) nonprofit organization which assumed production of the Hero Thrill Show® and the administration of funds generated by the show. The Hero Thrill Show®, Inc. Board of Directors is chaired by Mr. Binns. Since 2006, The Hero Thrill Show® has been produced by the Hero Thrill Show®, Inc. The Hero Thrill Show® is currently putting 22 children through college. For the complete history of the evolution of the Hero Thrill Show® click here. Police widows support the Hero Thrill Show®, Inc. NOT the Hero Scholarship Fund. 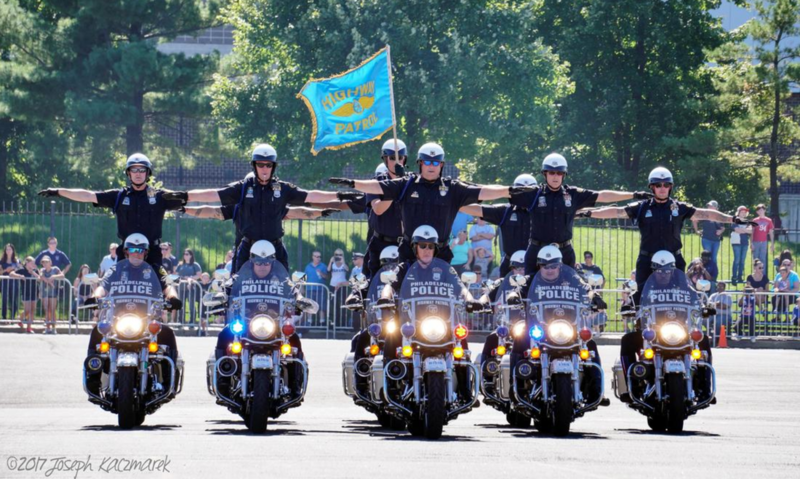 FOP supports the Hero Thrill Show®, Inc, NOT the Hero Scholarship Fund. 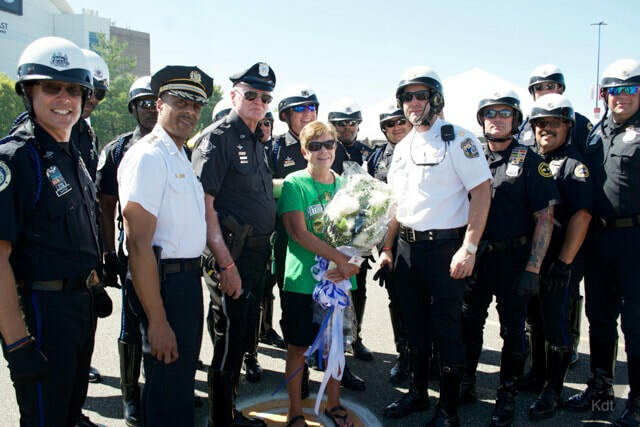 Since the formation of the Hero Thrill Show® Inc. in 2006, the full college tuition of all of the children of all of the fallen Philadelphia Police Officers and Firefighters have been paid for by the Hero Thrill Show® Inc. No other organization provides financial assistance to the children of fallen Philadelphia Police Officers and/or Firefighters. The Hero Thrills Show® Inc. is NOT affiliated with the Hero Scholarship Fund. The initial recipients of scholarships from the Hero Thrill Show® Inc were Katie, Brigid, Nora and John Redmond, whose father, Firefighter John Redmond, was killed in the line-of-duty on January 28, 1994. They have completed their education. Kimberly Acey, whose father, Firefighter Vencent Acey, was also killed in the line-of-duty on January 28, 1994, graduated from Eastern University. Joseph Maryanowicz, whose father, Police Officer John Marynowitz, was shot and paralyzed in the line-of-duty on June 16, 1993, graduate from Holy Family University. Joseph Friel, whose father, Police Officer Joseph Friel, was killed in the line-of-duty on December 4, 1994, graduated from St. Joseph's University. 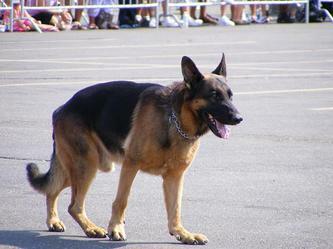 Katie, Colby and John Cassidy, whose father, Police Officer Chuck Cassidy, was killed in the line-of-duty on October 31, 2007, completed their education at Gwynedd-Mercy University. Amber Liczbinski, whose father, Police Officer Stephen Liczbinski, was killed in the line-of-duty on May 3, 2008, is a senior at Gwynedd Mercy University. Jazmin Nazario, whose mother, Police Officer Isabel Nazario, was killed in the line-of-duty on September 5, 2008, is a senior at Community College. Terrance Simpson, whose father, Police Officer Timothy Simpson, was killed in the line-of-duty on November 17, 2008, graduated from Widener University. Samantha Simpson graduated from Gwynedd Mercy University. Courtney Simpson is a junior at Holy Family University. Marissa Long, whose father, Police Office Brian Lorenzo, was killed in the line-of-duty on July 8, 2012, is a sophomore at Philadelphia Community College. Katelyn Stackwitz, whose father, Police Officer Andrew Stackwitz, died in the line-of-duty on September 26, 2008, graduated from Manor College. Her sister, Jennifer, graduated from The Kaplan Career Institute. Mekhi Donte Green, whose Firefighter mother, Lieutenant Joyce Craig, was killed in the line of duty on December 9, 2014 is a sophomore at Penn State University. Eric Lee, whose father, Firefighter Gabriel Lee, died in the line of duty on July 23, 2016, is a freshman at Penn State University. Sarah Colton, whose father, Police Officer George Hall, died in the line of duty on January 30, 1989, is a freshman at Philadelphia Community College. The following children will receive full tuition scholarships as soon as they achieve college age: Johnny Pawlowski, Dominic Lorenzo, Gabrielle and Chase Lee. Johnny Pawlowski, whose father John was killed in the line of duty on February 13, 2009 is scheduled to enter college in 2016. Domenic Lorenzo, whose Police Officer father Brian was killed in the line of duty on July 8, 2012 is scheduled to enter college in 2024. The Hero Thrill Show® Inc. is the only organization that pays for the college tuition of the children of Police Officers and/or Firefighters who have been killed in the line of duty.